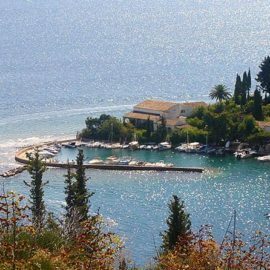 North east Corfu is an area of great interest, for the many beaches as well as for its interior which is dominated by Pantokrator Mountain. 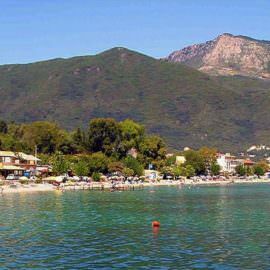 In Pantokrator there are the two highest peaks of Corfu, the Pantokrator at an altitude of 915 meters in the east and Stravoskadi at 890 meters a couple of miles to the west. Many small mountain villages which keep their traditional beauty intact, with very few inhabitants, almost untouched by progress and time. They are Spartilas, Strynilas closer to the top and many more. Perithea is an abandoned medieval village, hidden among mountain peaks, so that pirates could not find it. In recent years, the village has been reborn, taverns and other small shops have been created in renovated old traditional houses, here the stone dominates as the main building material. So they are ideal destinations for those who prefer a quieter holiday in calm clear waters. 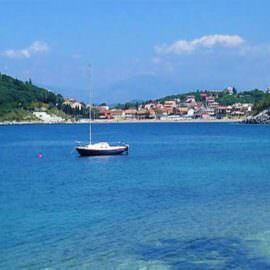 In the northern part, the most developed tourist resort is Kassiopi, a historic village that existed since antiquity. Here was a theater visited by Nero and a large fortress, whose remnants are still preserved. 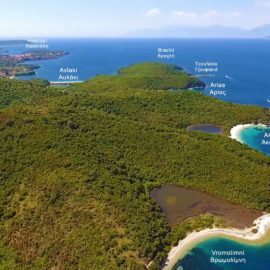 Here is also the area of ​​the Erimitis, a pristine expanse of paradise beaches which is going to be sold and destroyed because this is implied by the memoranda. To the north there is Corfu`s second lagoon of Antivioti, which is a great wetland. East of Antinioti the beach of Agios Spyridon Karniaris. South of Kassiopi the beaches of the area are multifarious, small bays mainly with pebbles and locations not very developed, many small seaside locations with many tavernas and crystal clear waters, such as Agios Stefanos, Kerasia, Kouloura, Kalami, Agni, Krouzeri, Kaminaki, Nissaki, Barbati, dozens of small and beautiful sceneries scattered within the manifold bays, each with its own uniqueness – all these forming the area of the old Sinies. 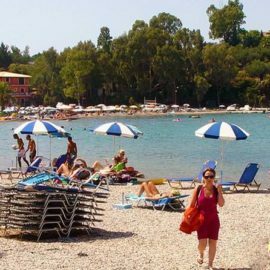 The area from Pyrgi to the city of Corfu is touristy developed and includes large tourist resorts with large hotel units up to 5 stars. 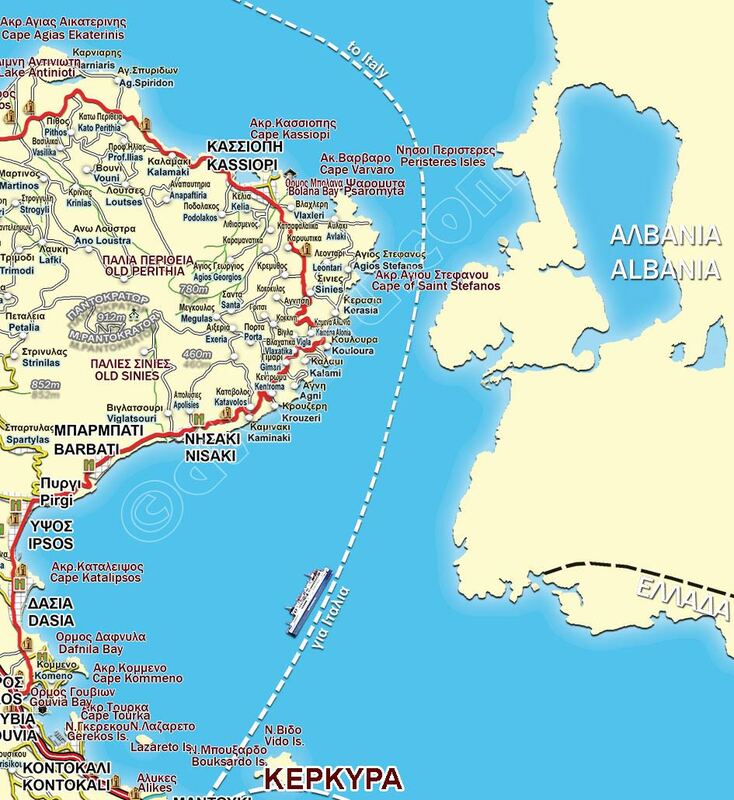 Below on the east coast the famous tourist resorts Ipsos, Dassia one of the oldest tourist areas on the island and finally Gouvia with the large homonymous yacht marina……. 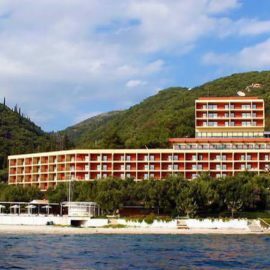 It should also be noted that in the area of ​​Tzavros there is the General Hospital of Corfu, a state-of-the-art building, unfortunately without the necessary staffing specifically for medical staff.